Hannah Elise: WELCOME TO THE NEW LOOK + GIVEAWAY!! WELCOME TO THE NEW LOOK + GIVEAWAY!! I am absolutely stoked today to reveal my new blog design!! I've never outsourced a website design before and always just done things on my own. So, to have worked with someone who took my ideas and made them come to life just felt surreal! The woman behind my beautiful new blog is Suzana of This Girl Design!! HUGE thank you to her for being such a rockstar. 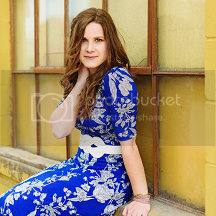 Seriously, she knocked it out of the park and I am just blown away by her skills [and patience with all my changes!!]. Cannot recommend her enough, SO so great to work with. with my new rotating header!! Not only have I been working on this new blog launch, but updated my website, too!! "Make It Happen" by Lara Casey to one of you!! with you in a coffee shop as you're reading. Comment on this post with your name, and share what is your favorite part of the new blog design!! So, feel free to click around and enjoy my new site!! Thank you all so much for following this blog of mine + all the support/encouragement over the years. I definitely do not take it for granted. My favorite thing about the updated blog is the new pictures of you! Mary Kemerly ;). Love the new pictures of you and the "clean" look. Majorly dig the new design. Major crush on your new pictures. #cananyonesaybeautiful Love. Love. Love. The end. i LOVE the rotating header! it's so simple and looks amazing! I'm in love with the color scheme! Seriously, I am not much of an orange person (please don't hate me ;) but I think you are converting me with this gorgeousness! It looks so pretty! I would LOVE to get this book and read it - I've heard that it is sooo good. Hannah, this is beautiful and so professional! I just love it. The clean simplicity really focuses on your beautiful images. Love the rotating header (you are stunning, friend! ), the tabs on the side (and the new score thrifty one ;)), clean lines, etc, etc! I know that much thought/energy must have been poured into this project - it's just beautiful! Congrats! Your headshot is stunning! I also love the rotating header. Your blog is simply beautiful. Oh, I LOVE your new design! Everything about it is so simple and beautiful! But if I had to choose a favorite thing, it would probably be the colors and rotating header. Your new head shots are simply stunning! The colors are beautiful and your dress! Holy smokies!!!!! Love the new look Hannah! :0 Your header pictures are drop dead gorgeous!!! My favorite parts is the categories on the sidebar. I love it all!! My favorites would be the new head shots, they are gorgeous!! And can we just talk about that yellow wall! It's Amazing!!! :) Also I really like the sidebar with all the categories!! Everything turned out to be lovely!! Love the fresh + clean new feel to the site!! Also who can't comment on the gorgeous new head shots!? Well done. I had to post anonymous because google isn't cooperating. I love the combination of orange (of course!) and gray colors. Also clean design look overall and central top design of text of your name underneath the photo and media icons underneath it. I love the bright colors!! It goes perfectly with your portrait style! I'm excited to see what comes next! The rotating header is GORGEOUS! Congrats on the design, Hannah! I'm Sara and I love all the orange & grey. The photos of you in the header are also amazing! Hello Hannah! Lovely new blog design! I really love the orange and blue color scheme against the white background! Ummm, does it count if I say that EVERYTHING is my favorite part of the blog?! I love how the entire blog flows together and how functional the design is. My name is Rachael Marsceau, and I love that your blog is simple and mobile-friendly. SO many are cluttered and won't even load on my phone. Nice job! Umm...ALL OF IT. =) Love the super clean + bright, classy + professional looking layout. Its perfect + so YOU. Did i mention how absolutely STUNNER gorgeous you are?!?! I LOVE the new look!!!!! The pictures are gorgeous. Love it, Hannah! Verrrry "you". ;-) I like the simple feel to the whole thing (your name in the header and the blog post titles)... everything flows together so well now! And I didn't say before, your new pictures are stunning! Love. Love. Love. LOVE IT, Hannah! EVERY last detail! My favorite parts are the modern font choice and the bright pops of color in your header images against the white background. I love the bright pops of color!! It's so cheerful like your personality is :) I love the layout and design as well. Your pictures are gorgeous! Love and miss you Hannah! Awwwww. The U.S. and Canada only part totally crashed me. Oh well, I still LOVE your new blog look, it looks so warm and inviting! Love the colour contrast in the pictures, too. Just about purr-fect. Love the new pictures and the simplicity of your design! - Rebecca H. welll....I absolutely LOVE the rotating header, plus the grey category boxes on the side. It's all AMAZING though!!! I love the header...your new pictures are beautiful! I like the rotating header...but the whole thing looks nice!! I like the whole thing! :) The layout is stunning! !